Storage room: vacuum cleaner, iron & ironing board, baby chair, changing table. Chalet both sides, terrace, facing south-west (garden view room) in the center of the village, located 80 meters from the slopes. 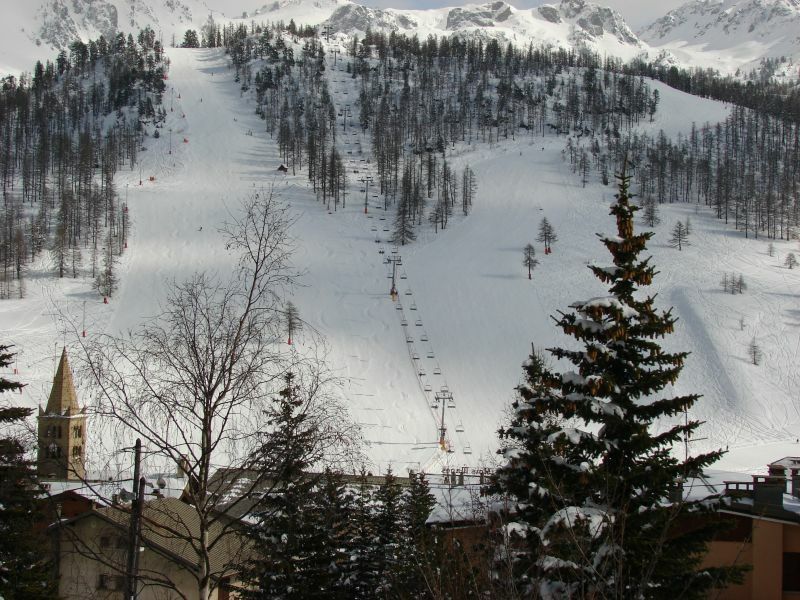 Close to shops, bakery, restaurants, sports shops, medical center, movie theater, nursery, garden snow, ski lifts, ski schools. 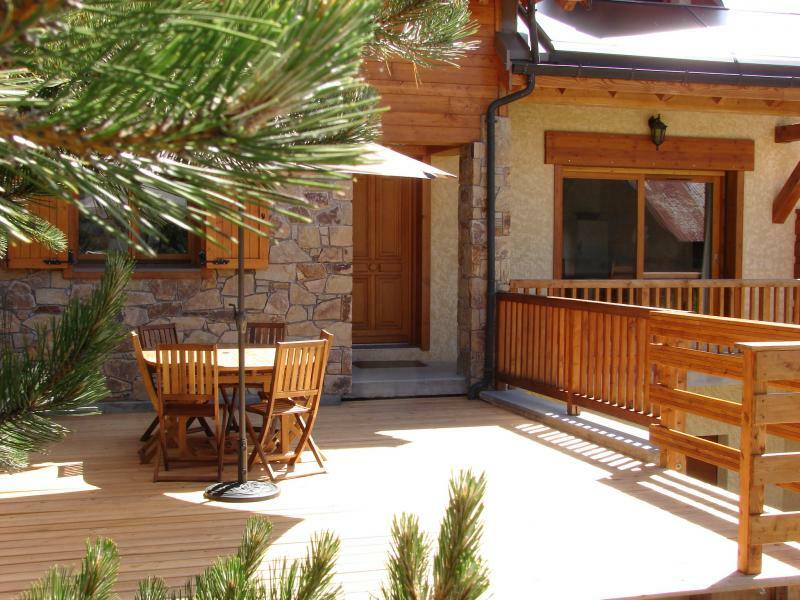 Chalet very well placed in Montgenèvre 3 minutes walk from the ski lifts (the Prarial, RDV ESF). The beautiful garage in the basement can store all ski equipment, with a boot dryer! 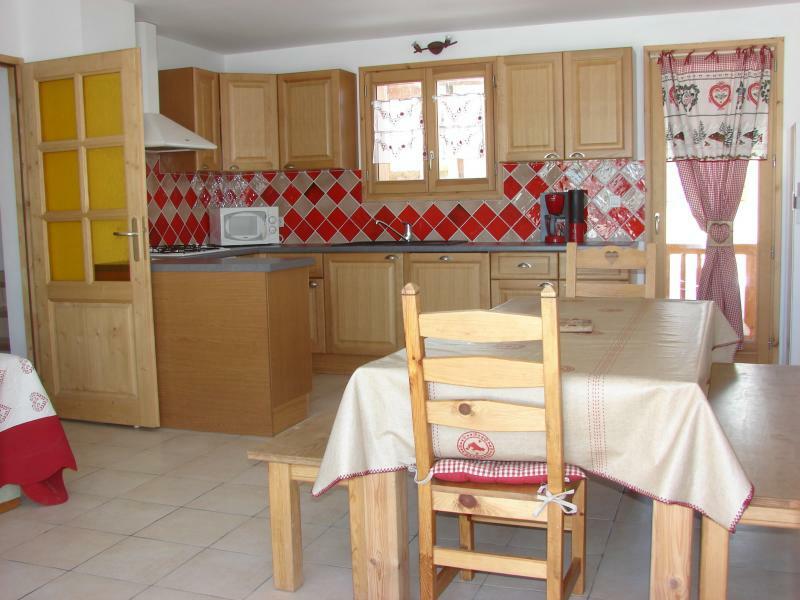 Chalet very well maintained, clean, well equipped kitchen, there are all necessary utensils. The citrus press did not work, Mrs. Armand replaced it during the day! Thank you. 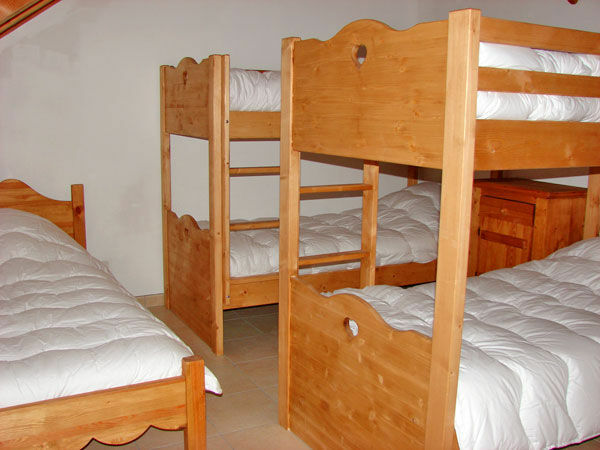 The cottage is well designed at the disposal level, 3 double bedrooms and a dormitory room for children, who are delighted! The showers are spacious. There are also plenty of storage space. We had a great week: thank you for your welcome! Thank you for your nice comment. It is true that we do everything to make our guests have a real and enjoyable holiday and also our customers who make us the best PUB. Thank you for trusting us by coming to us. Very welcome and availability of the owner. A well maintained cottage, very nice and perfectly equipped. I recommend ++. We thank you for your comment and we are very happy that you had a very good week. 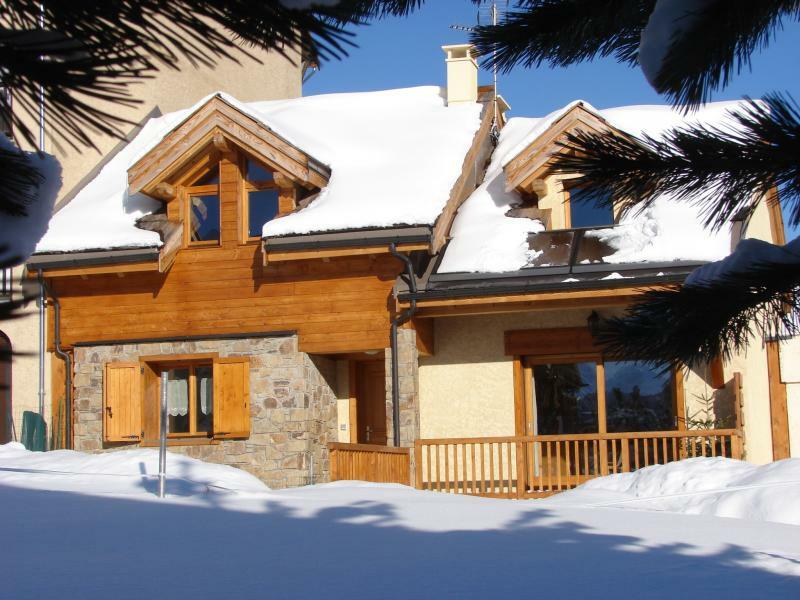 Wonderful chalet, equipped with every comfort. Owner very kind and helpful. Very satisfied with our stay, place to recommend, we will certainly return. Comfortable cottage, well exposed, close to shops and slopes. The most is the ski boot warmer. Very nice chalet in the center of Montgenevre which is rare (I frequent the resort for 15 years), with all the comforts of recent construction (including floor heating, well equipped, and with small details that prove the attention of Owners, such as the dryer and heated ski boots and gloves installed in the garage.hearty welcome from the owner, who lives in the cottage opposite. Perfect for 8 adults + children. A fair bit for 12 adults I think. Again thank you to the owners for this beautiful stay ... And we hope to have the chance to come back next year as soon as we know our dates, because the cottage is often rented from one year to another: the ransom of success! It is also a pleasure for us to see our vacationers happy to spend their holidays in this cottage. Rental pleasant, well equipped and consistent with our expectations. Very well located in the resort. The owners are very caring to make the stay comfortable. We will definitely come back. 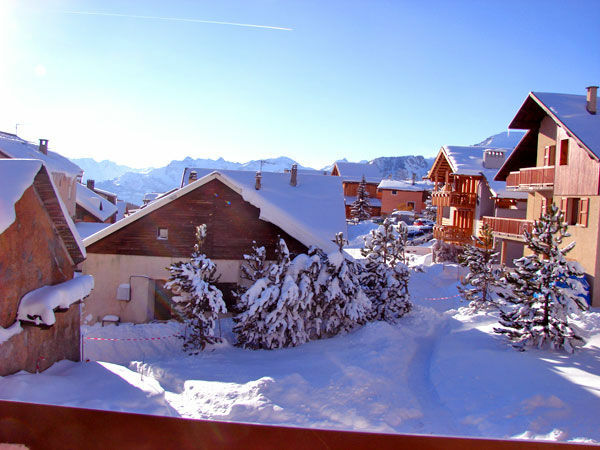 Very nice chalet, very well equipped and very, very well maintained !! 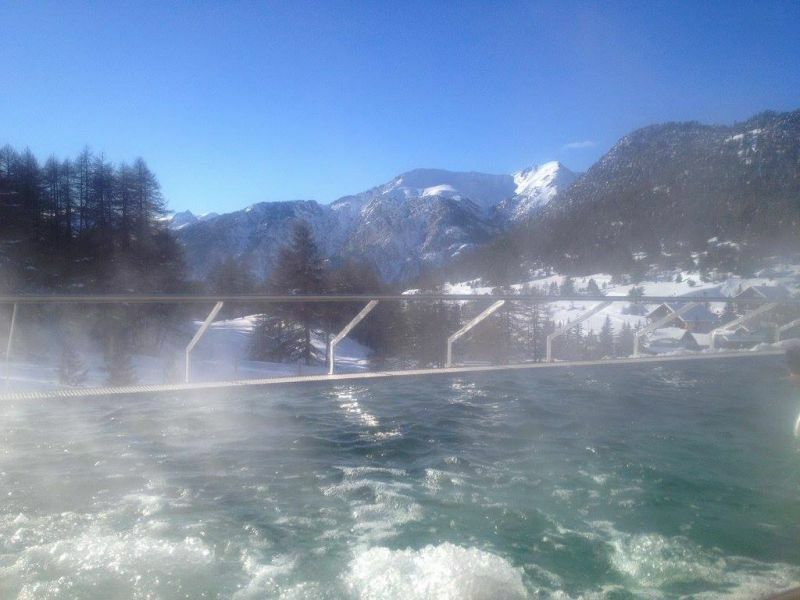 Very warm welcome from the owner, and great view of the chalet! Great stay in Montgenèvre, recommend +++! See you soon but in winter this time! 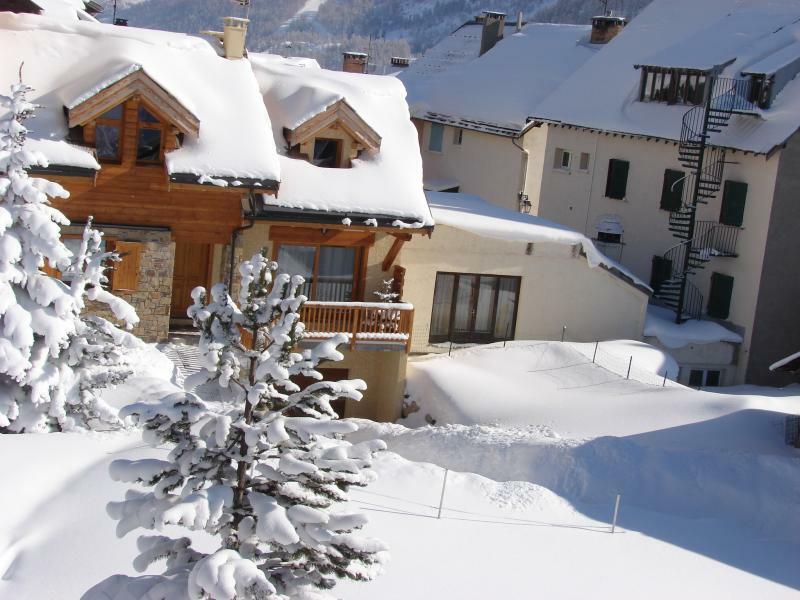 The cottage is very well located, very close to the slopes. It has three parking spaces of which 2 covered. It is extremely well equipped, functional, and in immaculate condition. Nothing is missing except maybe an additional sofa in the living room. We especially appreciate the large garage that can not only play table tennis but also store all the ski gear and warm ski boots. We were greeted warmly by the owners and will certainly be back next year. 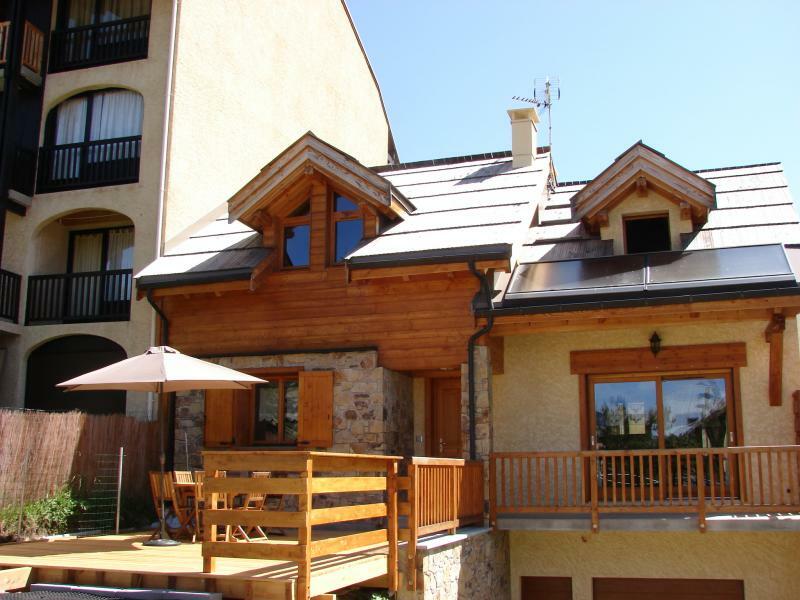 Perfect .. very nice chalet, comfortable and very well equipped. The best rental we rented for a long time with a very warm welcome bonus! Beautiful cottage in the center of the village. Nothing is missing. 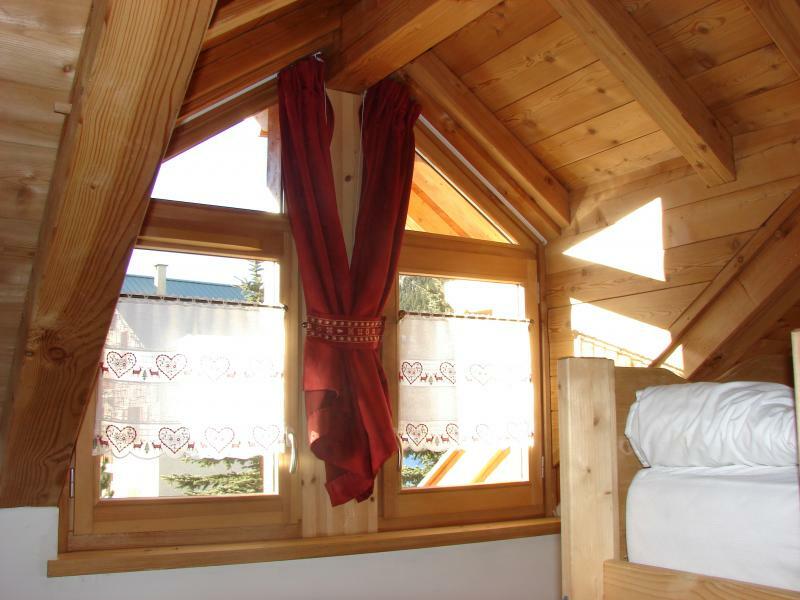 The chalet has a stylish mountain design and a complete and functional layout. 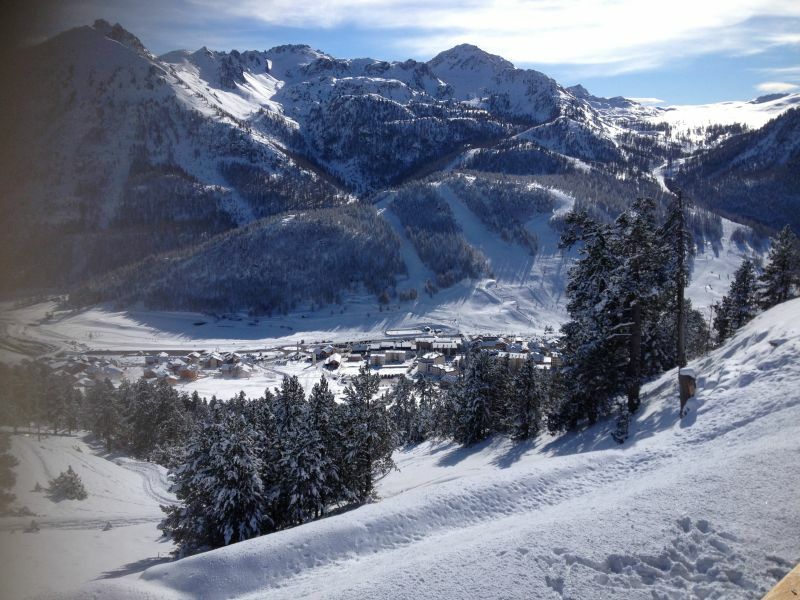 Its location in the village center and close to the slopes makes it very accessible for kids (and adults ...). We were warmly received by Mr ARMAND who ensured our comfort during the stay. In the top! As usual!!!!!!!!! Chalet very functional, very clean. Fully compliant with the announcement decorated with taste. Very friendly owner, good advice. Cozy chalet, comfortable, spacious, bright. The tumble boots is very valuable. Close to the slopes, but not "skiing feet." Well located, comfortable and spacious. Garage and appreciated boot dryer. 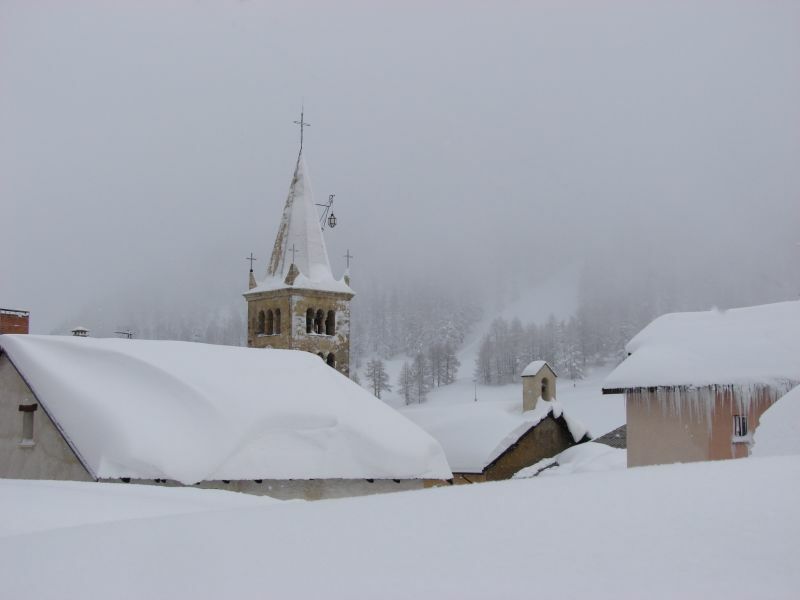 We spent a week early January 2015 to 2 families (9 people) to Domitia Chalet and everything went very well. The cabin is spacious, bright, very clean, well equipped and well heated. Extras: ping-pong and hot shoes in the basement. It is also well located in the center of the village so access to the slopes / ski school is on foot, we did not use our car during our stay. I recommend! Welcome, the only thing to improve: provide an internet connection, the owner told us that it will be done next year. 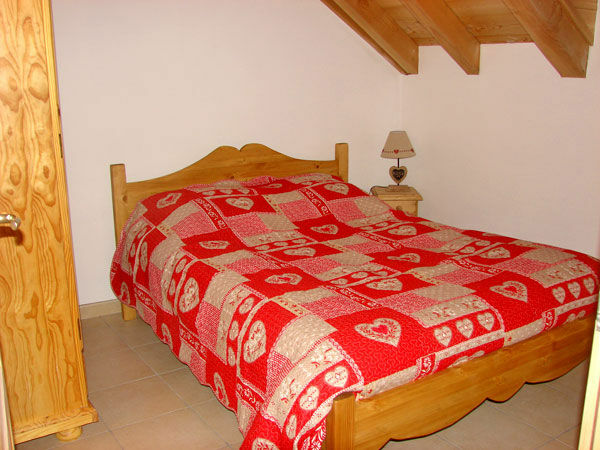 Chalet very comfortable and functional, clean and very well located. We had a great time. Plus, large basement with DRY FOOTWEAR, and table tennis. 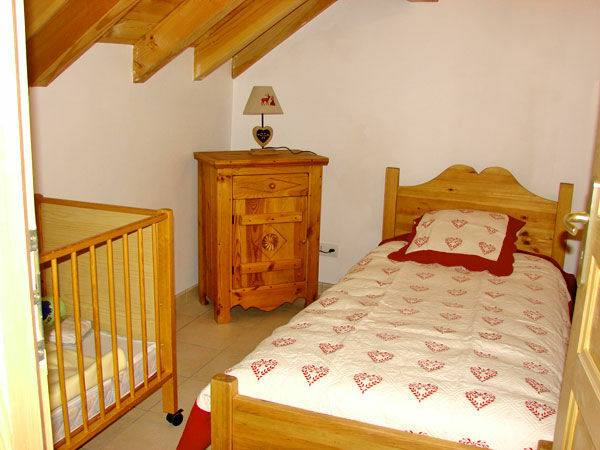 We really enjoyed this large chalet where all ages can easily coexist (from 65 to 3 years!). 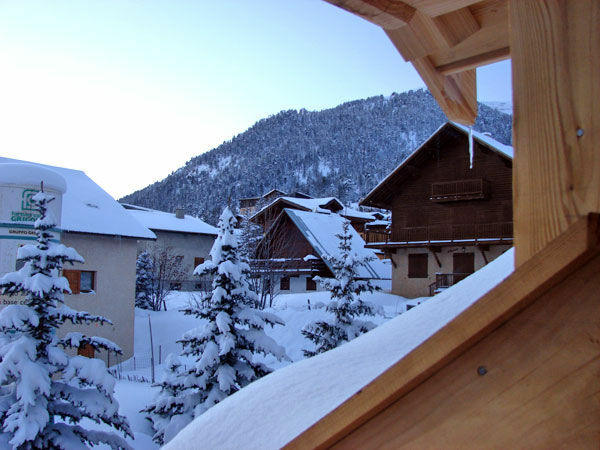 We were very well received by a smiling owner who made every effort to meet the inhabitants of this beautiful chalet, well located and well equipped. Superb location, design, decoration, dishes on top !!! 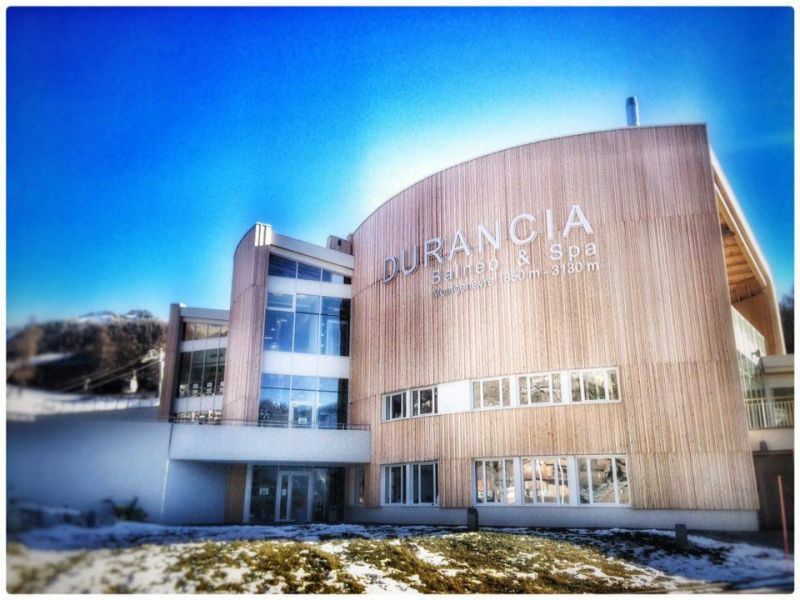 Near the slopes, comfortable, convenient, and best of all: very nice owners, we definitely recommend! In addition we had babies and everything was planned: high chairs, beds, sleeping bag ... even sledding! Wonderful stay in this more than perfect cottage, in line with the announcement, great location, particularly well laid out, where he lacks nothing, comfort decoration. Owner charming, attentive, very helpful. Frankly problem without adviser but not too much we have left room for back quickly. No surprises with respect to the announcement. 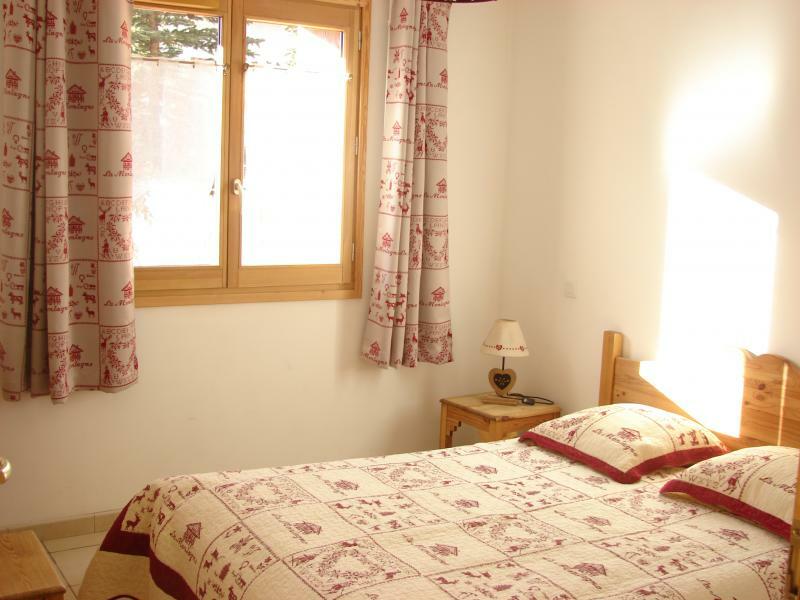 Very warm welcome in this spacious and comfortable cottage, very well equipped and very well decorated !! We had a great week !!! thank you !!!!!!!! Comfortable holiday comply with the description. Mrs. Armand very friendly and helpful to listen to the tenants. Very welcoming owners, well equipped cottage, located in the heart of the village. We enjoyed the hot shoe to start the day. We highly recommend renting. Perfect cottage, very well equipped. The location also. The owner is always available and that is a real plus! Beautiful chalet tastefully decorated and clean, with unparalleled comfort, utensils wise cuisine crepe pan to the bowl of all sizes. We had a great week. Mrs. Armand is adorable and very available and little more parking spaces. This is a vacation that I keep in my repertoire, I will return without worry. Perfect location, new chalet according to the description. the dining room is larger than it appears in photos. The owners, who live next door, are charming and available for any occasion. In short you can go there with your eyes closed! Cottage great location, very well equipped, spotlessly clean. Direct access to the basement for file storage with boot heater, this is the top. Thank you to Mrs. Armand for their hospitality. 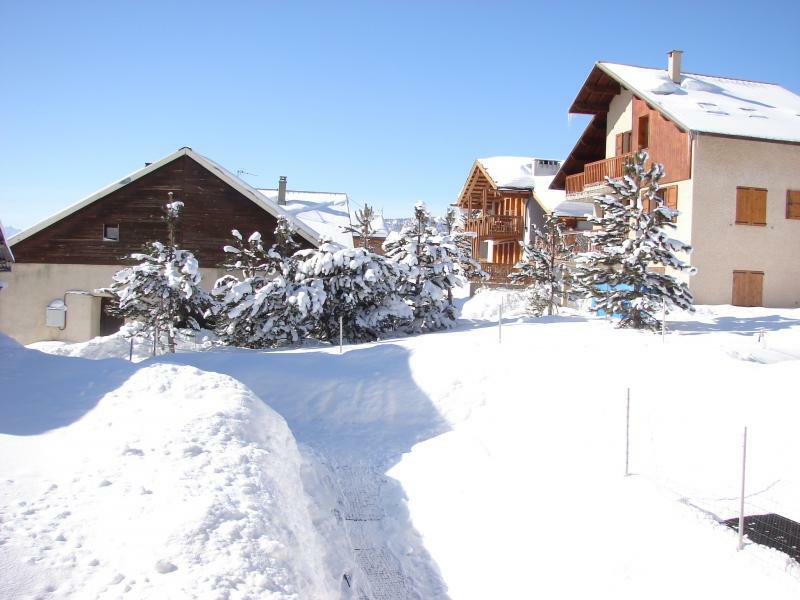 Superb brand new Chalet, Mrs. Armand is very friendly and helpful, we enjoyed the ski boot dryer and the resort is beautiful, I would recommend this rental property. 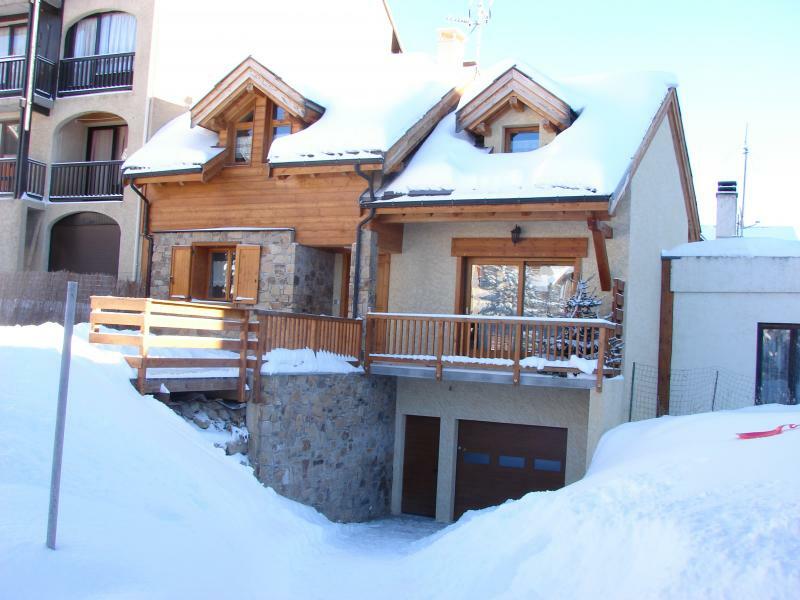 Beautiful chalet in the village close to shops and slopes. We rent for more than 35 years in various stations and this is the first time we find a pleasant cottage, Mr Mrs ARMAND the designed for the welfare of their tenants to feel at home while in a beautiful resort and enjoy the Oi ski better. They all thought for big families and their availability is immediate to their guests, we found there to receive kindness and happiness. 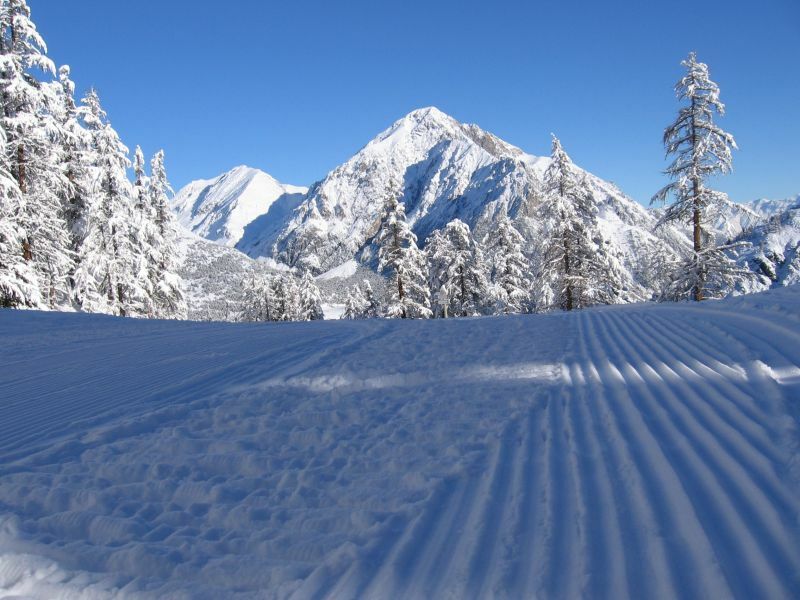 Ski locker about the size of a large garage can store ski, snowshoes, sleds and all necessary for the week without any problems and icing on the cake dry ski shoes worthy of a professional ski hire is a pleasure for chilly feet. When the price for the quality of the welcome, the cottage benefits and difficult to find cheaper. Excellent stay recommended. A new and very clean dapper cottage, close to the church. Nice decoration. Well equipped kitchen and beautiful porcelain tableware. Everything is very neat in this cottage and the owners are friendly and accommodating. It is a relationship of trust established between landlords and tenants, which is very significant. Everything is made to feel at home, the cottage is tastefully decorated and nothing is missing. The chalet is very well located in the resort. The only downside if there is many it is the size of the sofa is small. In addition, the owner really does everything to make your stay goes smoothly. As if it is with many children is the dorm room. We had a great stay in Montgenevre. Rent was consistent with the description and very well designed to accommodate several couples with children. We were lucky with the weather and we found an area that we did not know. There are so many hikes to do and sites to see that we did not have enough time. Thank you to Mrs. Armand for his warm welcome. High quality service. Everything was perfect with great kindness of the owner as a bonus. Address to treasure and pass course. 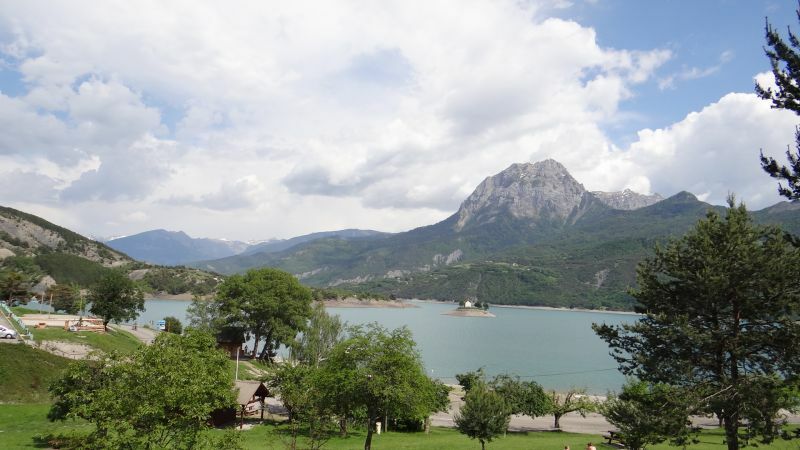 This property in the center of Montgenevre is ideal. Very well equipped new house and a warm welcome from the owner. I hope to return by booking a long time in advance. Spacious and sunny cottage, lovely interior, well equipped. We had a great time. We will certainly not forget the kindness and availability of Ms. ARMAND. 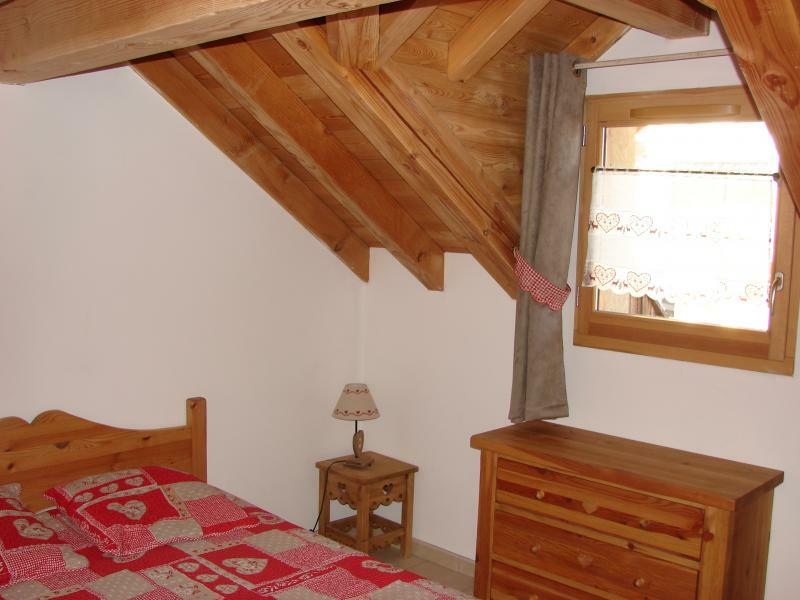 Lovely chalet, well-lit, comfortable, well furnished with lots of storage, well equipped kitchen. We enjoyed the garage where we can prepare for skiing and which we also find to make a game of table tennis. It lacks internet access via wifi for those who are forced to work remotely while on holiday. We enjoyed the parking spaces available to us not far from the cottage. The owner is very friendly, welcoming and concerned with our well being. Superb stay in Montgenevre in this beautiful location.On appreciated the new, very comfortable beds, nice dishes ... nothing is missing, exposing the cottage always sunny. Very functional location where we would soon return. Brand new location, extremely well equipped for the world, great location and very decent rate. Nothing to say, bravo! 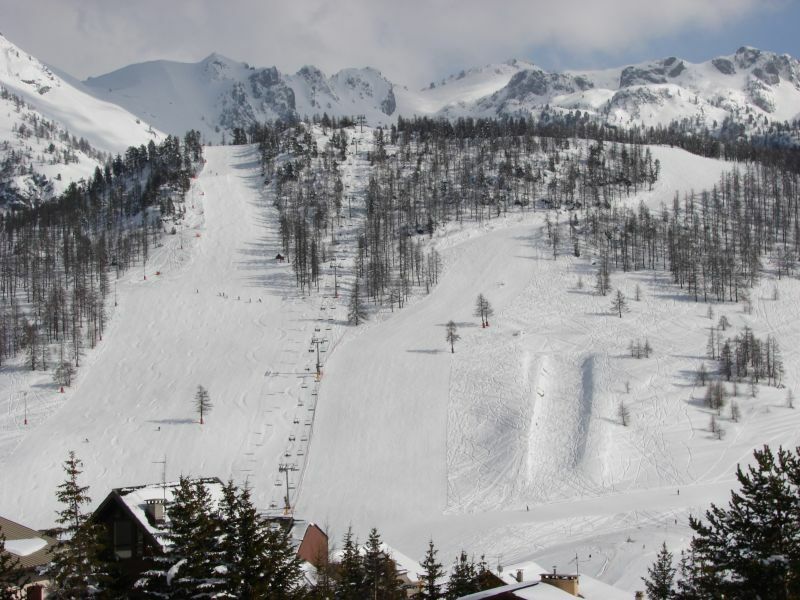 Nice week end of the season in Montgenevre. There are no complaints about the reception we booked the owner who is listening to you and very helpful. The cottage is cozy, well equipped and spacious enough to accommodate a consistent group. A highly recommended. 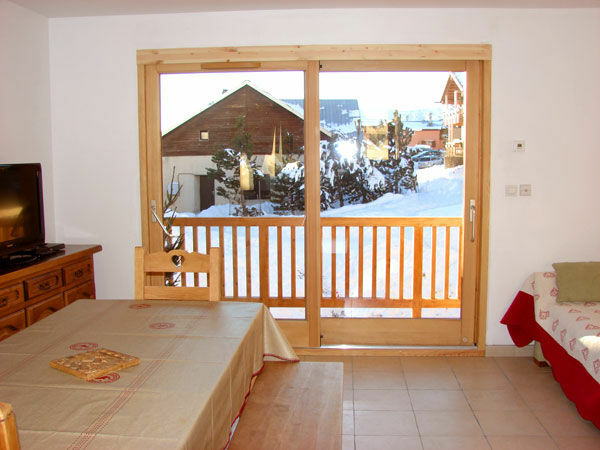 Very nice, cozy, spacious, in the town center, close to the slopes and attention to detail. Excellent house for groups of friends or families. Dear the owner very helpful. Very well located in the heart of cottage village. Nice living room with bay window. Heating effective ground. Chalet well insulated. 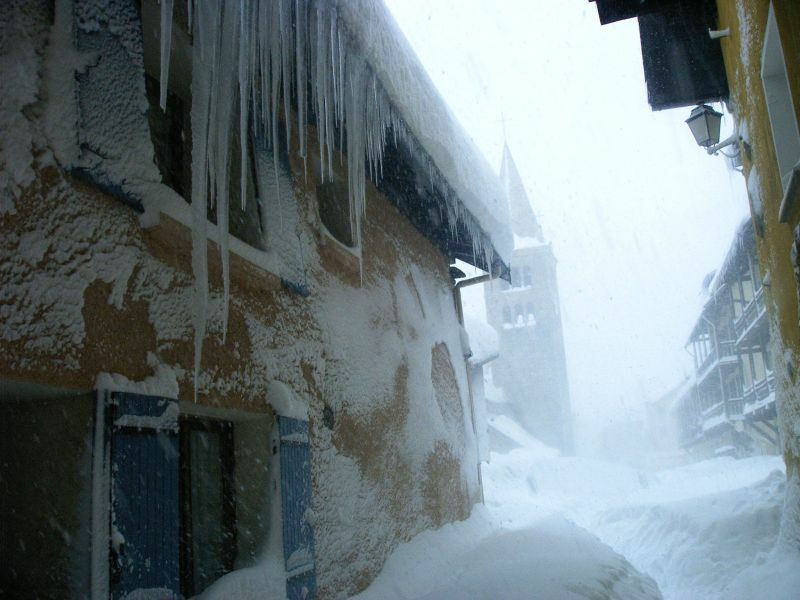 The basement should be designed to accommodate the business of skiing in winter. The Chalet has a quiet and a beautiful view. 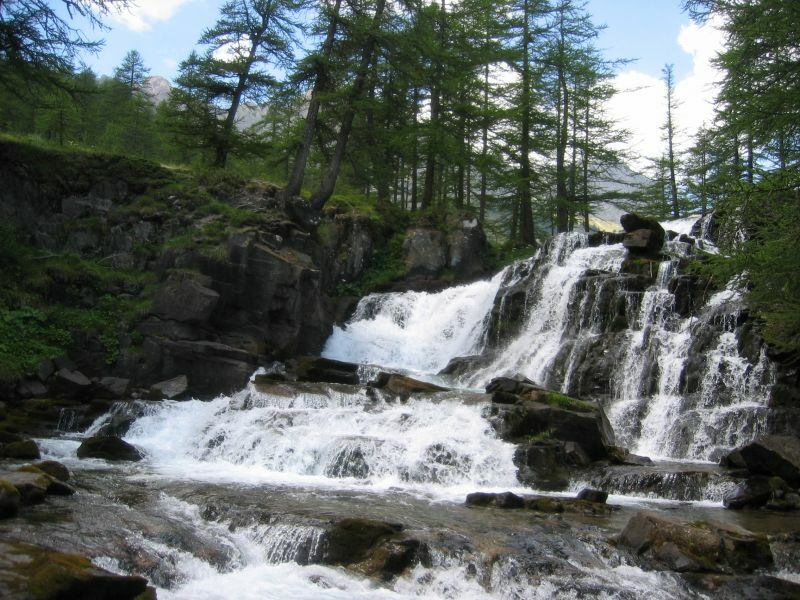 It is very well located in the heart of the village close to the slopes, everything is easily accessible on foot. In addition, the private parking spaces and secure made available by Mrs. Armand on the snow front, allow no more worrying about the car and make it a very convenient ski locker! 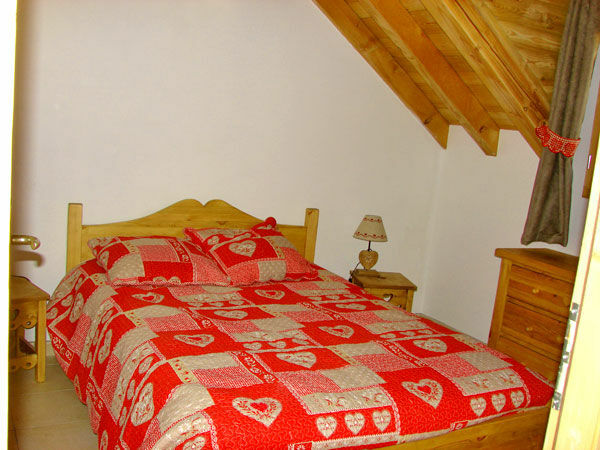 All parts of the cottage, very well decorated, spacious, bright and functional. Mrs. Armand and very welcoming, we really had a great week. Very well located in the cottage village, close to shops and slopes. Ms. ARMAND a beautifully decorated cottage in a mountain style. 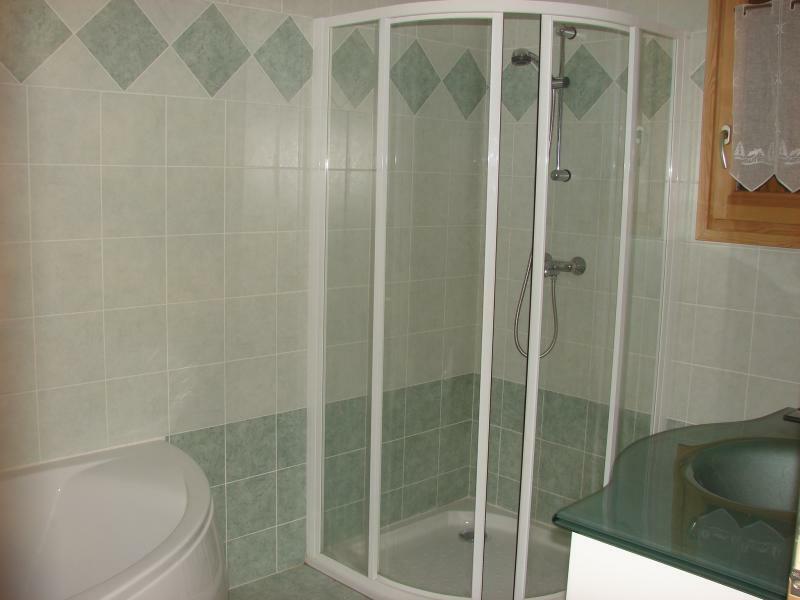 The bathrooms, which do not appear in the photos, are spacious and very functional. 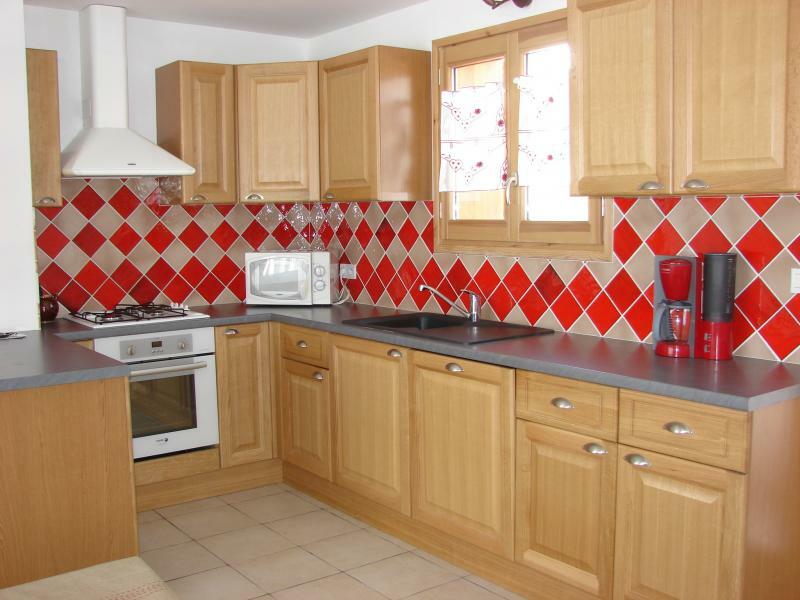 The kitchen is very well equipped and the open side offers a friendly atmosphere to the living room. In addition, the view is magnificent. Welcome, good quality accommodation, the owners are listening tenants to recommend. We do not want to come to reject smoking customers: Out of respect for all our customers, we ask everyone not to smoke outside, so as not to inconvenience the customers by following tobacco odors that may occur on health problems that affect children. You will be asked for a deposit of 300 ? for the cottage.